Photo by The Mainichi. (Moriyasu, the starter of Mitsubishi Heavy Industries. 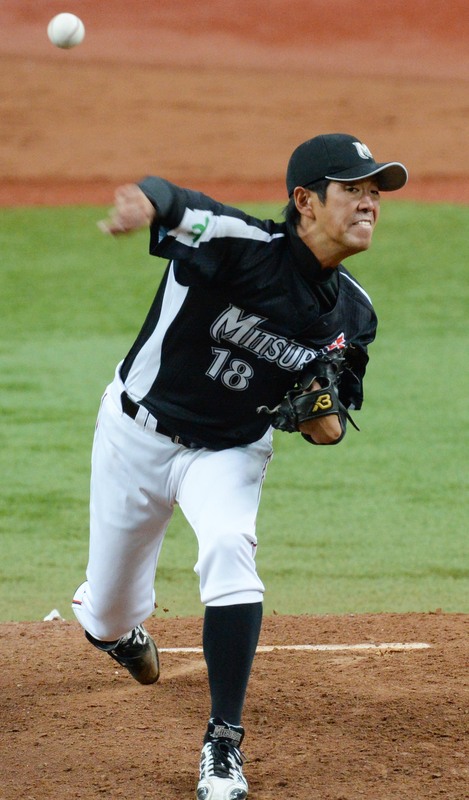 Uetsuhara of Segasammy clenched his fists after getting the last batter out to win the game in the bottom of 12th inning. Day 3 on Monday (Public Holiday) November 3 saw 3 games of second round and Nippon Life Insurance (Osaka), Panasonic (Osaka) and Segasammy (Tokyo) advanced to the third round. Nippon Life Insurance came from behind to beat Japan Railways West Japan (Hiroshima) 5-2. 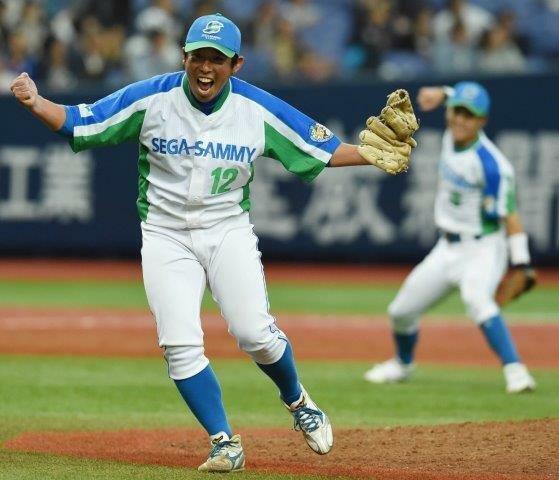 Segasammy scored 4 runs on tie-break in 12th inning and shook off Mitsubishi Heavy Industries Kobe (Hyogo) 7-6. Panasonic, the record 35th participant in the National Championship, won a close game against Toho Gas (Aich) 3-2.